The story of Noah doesn’t tell us of any amazing or supernatural gifts that he possessed in order to accomplish the extraordinary assignment of restarting the human race. But out of the one million people living in the earth at that time, God saw only one man that was worthy enough to fulfill such a mandate. Join Pastor Brady as she reveals the key characteristics displayed throughout the example of Noah’s life that qualified him to be used by God is such an amazing way. This message will both inspire and challenge you to stand out like Noah as One In A Million. In today's culture, the words gentleness and meekness has become synonyms of the word weakness. When in actuality, it's having strength under control. It truly takes a strong person to be gentle. Join Pastor Brady as she expounds on the principle and the promise given in Matthew 5:5 that says, "Blessed are the meek, for they shall inherit the earth". Take notes as she delivers several keys that will help unlock every door that belongs to you. When you embrace the principle of gentleness, you can embrace the promise of your inheritance. If you’ve ever encountered fraudulent activity or any other form of identity theft, you know first-hand how helpless, vulnerable and violated you’re left feeling. Your identity has been contaminated, corrupted or possibly erased. Trying to reclaim what’s left after the rubble and ruins would be a very scary and exhausting experience. You may not realize it, but this is exactly what the enemy desires to do to you. He wants to contaminate, corrupt, and ultimately erase your true identity in Christ. 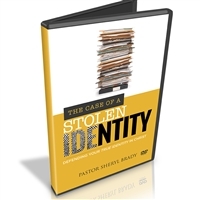 In this powerful message Pastor Brady equips you with the tools on how to daily safeguard your identity in Christ so that you can confidently walk in the purpose and destiny God has called you to; keeping the plans and tricks of the enemy under your feet where they belong. Don’t allow pressures of life to rob you of your peace. 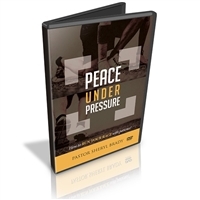 Pressure is the inevitable however it is manageable when you take it all to the Lord, who is the Prince of Peace! Today people have a lot to live on, but very little to live for. But through character, choices, values and vision, God is transitioning His people into another level of effectiveness, with meaningful fulfillment and life changing gratification. In this dynamic message, Pastor Brady depicts through the life of Moses powerful keys and principles on how to lead an effective life. Moses began his life of ease as an Egyptian Prince. But once he knew the truth about his identity, he regarded his people more than his possessions. He chose to become the man God intended for him to be. 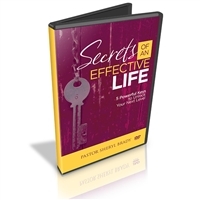 Secrets of An Effective Life, will uncover the secrets that will allow you to be effectively used by God, despite how your life began. In this liberating message, Strongholds, Pastor Sheryl reveals in the life of David strategic instructions on how to root out every issue threatening your progress and future. Anything that the enemy uses consistently and repeatedly to trip you up is a stronghold. If you’re tired of having a limited range of motion; moving three steps forward only to be pulled two steps back, then this message is for you!